"A wonderful read for anyone who has a child, was a child or cares about children. 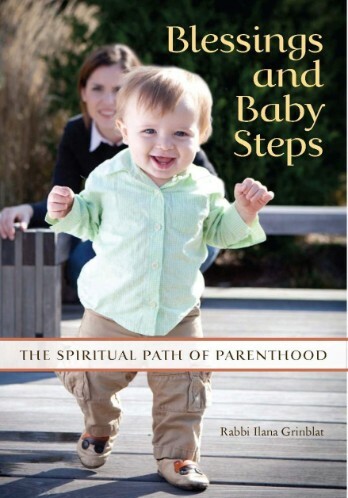 Great for the Jewish parent, great for the Presbyterian parent, the Buddhist, and even the skeptic." As a mother who felt spiritually challenged and transformed by the birth of my son I have been waiting for this book for a long time! Few if any explore birth and parenting at all or with such spiritual depth. As a Christian I resonated and learned from Rabbi Grinblat's scriptural and theological insights. Whatever your spiritual or religious background, whether you adopted or birthed a child or not, you will find this book a blessing on your spiritual journey. "This is a book that expectant parents and those with small children can learn much from. But it is not only for them. Anyone who wants to know where and how to find holiness in the midst of this world, and how we can relate to the sacred that is found in places that most of us never notice, will benefit immensely from this book."